I caved last week, and FINALLY became a member of the Tumblr community. Wait, is Tumblr considered so yesterday? 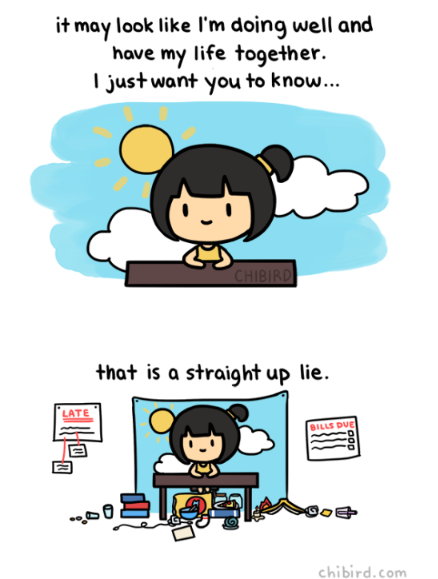 Anyways, while perusing Tumblr, I came across a community called Studyblr. I was fascinated by the aesthetics of each photo that I saw while scrolling: beautiful stationary lined up neatly, planners, stacks of books, an organized desk, laptops, beautifully written study notes, and perfect natural lighting. Studyblrs are blogs meant to encourage others to develop healthy study habits, promote organizational skills, and even encourage tracking your daily water intake.Yeah, it definitely caught my attention. Did I just stumble upon the holy grail of organization!? I found myself asking how was I organizing and balancing my stressed out life and wishing my desk at home was neat like the photos I saw on Tumblr. Why couldn’t there be more natural lighting in my room? Why –? These are the moments in which we need to catch ourselves and break from social media. I was beginning to compare myself to people I’ve never met before. I was assuming that they have it all together. For all I know, these bloggers might not even be as organized as they seem. 1) Studyblr photos are beautiful to me! I’m a huge fan of stationary, contrasting colors, and well organized books. 2) They have some amazing tips! But I’m here to keep it real with you. Their study tips are not for everyone, and that’s okay. Everyone learns differently. Rewriting notes in different colors might not be your thing. I had one professor in college introduce me to Gardner’s Multiple Intelligences, and encouraged me to create art in class while she lectured. She knew I had my own style of learning. Read more about Gardner here. 3) You don’t have to do everything a blogger is doing. Be you. That means embracing your uniqueness and doing what’s best for you. Pick and choose what works. 4) Stop comparing yourself to everyone on social media. Be who you are in this very moment. We’re all on a different path in life. Inspired by something or someone? That’s great, but remember learning any new skill takes time. 5) Comparing yourself to others creates unhappiness, which can lead to stress, and can manifest itself into physical ailments. Check out the Studyblr community on Tumblr and Youtube. Leave your thoughts about the Studyblr, your own personal study habits, or share a moment you fell down the social media rabbit hole. Disclaimer: I’ve been evaluated by my physician for any potential food allergies. Please be aware of any food allergies you might have as they can be life-threatning. Let’s be honest. Being a student means being on a budget, and when you’re on a budget you tend to buy foods that aren’t exactly keeping you fueled. If we aren’t hydrating and eating the right foods are body begins to experience symptoms such as feeling dizzy, drowsy, headaches, and feeling cranky. I find when I choose to eat unhealthy, I am more prone to feeling irritable, fatigue, and stressed. So what are some foods you can eat that are cheap, won’t burn a hole in your wallet, and keep you energized during that 3-hour lecture? 1) Bananas: Grab it and go. Provides a variety of nutrients such as Potassium which helps to regulate your blood pressure. Bananas keep you fuller longer, and are great to relieve crampy muscles. 2) Yogurt: Perfect after a tough workout or a long commute. Yogurt provides B12 which is known to promote healthy brain function. Healthy bacteria found in yogurt helps to keep you, “regular.” Don’t forget the air freshener! 3) Energy Bar: Read the ingredients list carefully. Some bars are better than others, but make sure you’re not allergic to anything listed in the ingredients. These are perfect to keep with you on the go when your stomach suddenly growls in the middle of class or on the train. 4) Overnight Oats: Not a morning person? Prep this the night before so you can just grab and go in the next day. Find a few recipes here. Add your favorite fruits to the mix and you will start your day with a nutrient rich breakfast. I’m just grazing the surface with these foods. There are countless ways to mix and match your food to not only satisfy those taste buds, but provide you with the energy and nutrients needed to conquer your long days. What are some foods you grab when you’re on the go? I didn’t have the time or day to join a club or events that were happening around City Tech, but when I received an e-mail in my inbox that there were blogging opportunities with The Buzz I quickly sent in my resume. 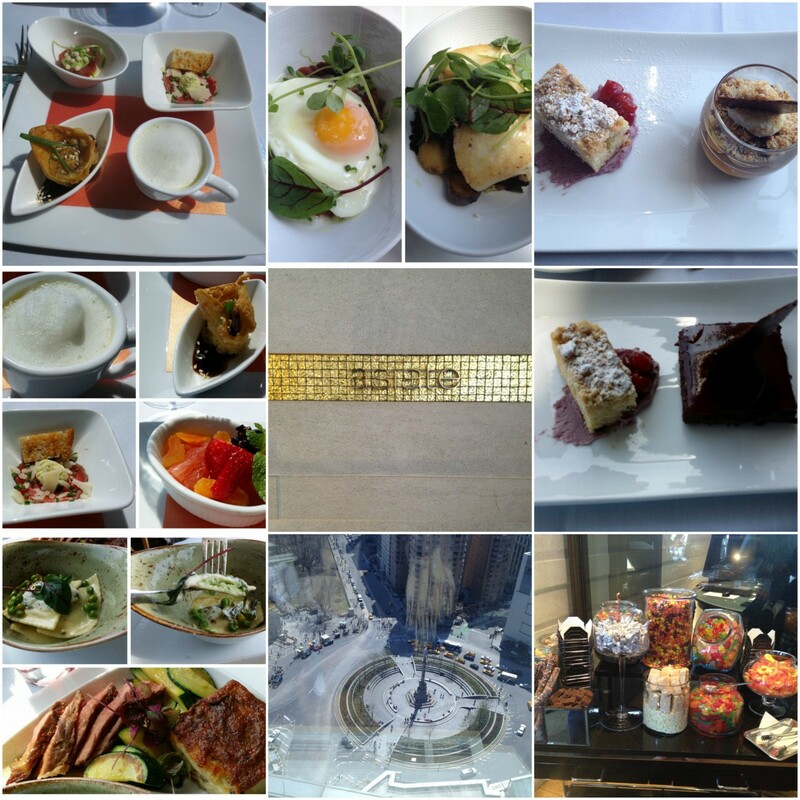 Although I was busy working and going to school, I knew I had time to squeeze out posts about my experience with food, blogging, and restaurants in the evening. I also wanted to build my portfolio and show future employers that I blog and write beyond what’s expected from me as a student in school. I write on three blogs (two of which I launched on my own) and I am an active Yelper. 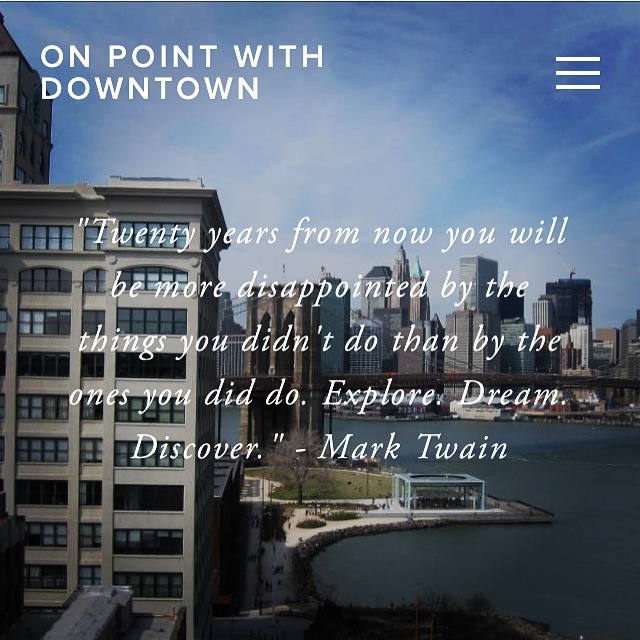 I know City Tech has a news publication team – New Tech Times which I have written for before about food too, but technology has evolved and so have I so I wanted to put my experience, thoughts, and ideas with The Buzz. 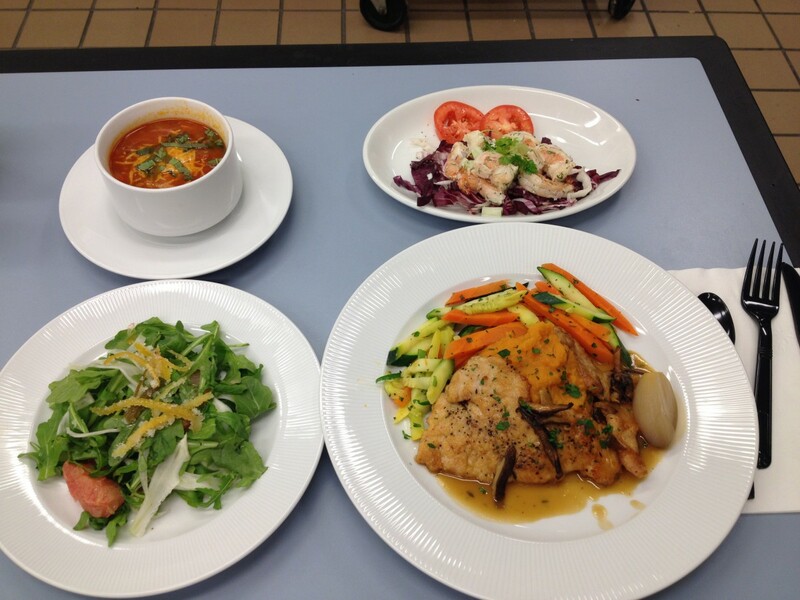 I know that City Tech cafeteria food isn’t the best so I wanted to show and open up City Tech students and faculty of the neighboring restaurants and food spots that they can try out. 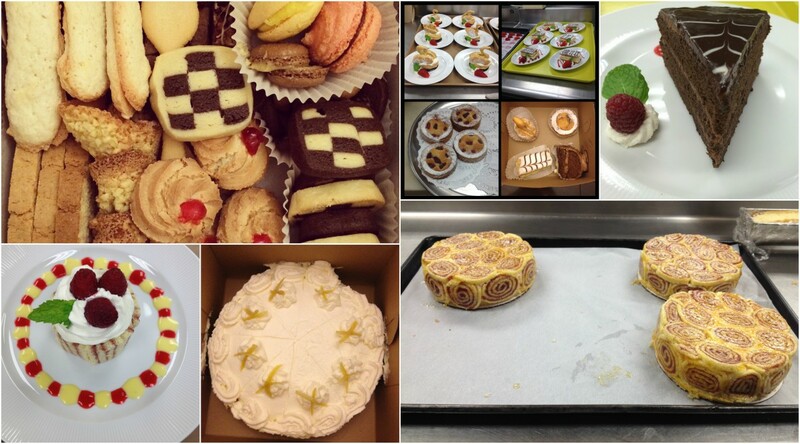 If you don’t already know, food is one of my biggest passion and love! 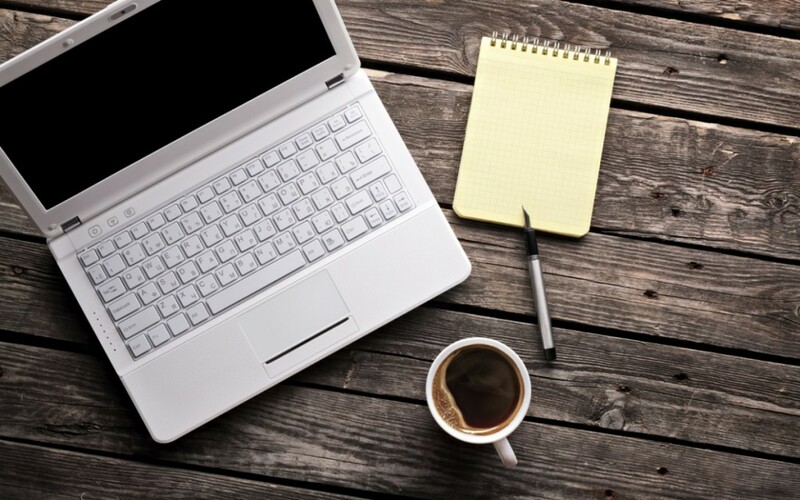 I also love to write and blog. I’ve been blogging for over 10 years and it makes me good to share my individuality, my feelings, and experiences. I was reading blog posts from previous bloggers for The Buzz and everyone has their own blogger voice, but I wanted to bring something fresh, fun, and personal. Everyone joins a team, club, event, and etc. for different reasons. You’ve just read why I joined The Buzz and if you’re a student blogger or photography blogger for The Buzz, why did you join The Buzz? or If you’re a blogger, why do you blog? Besides Trader Joe’s (located in Cobble Hill), there’s another supermarket/organic market where you can build your own meat entree or vegetable entree or pick up a sandwich. 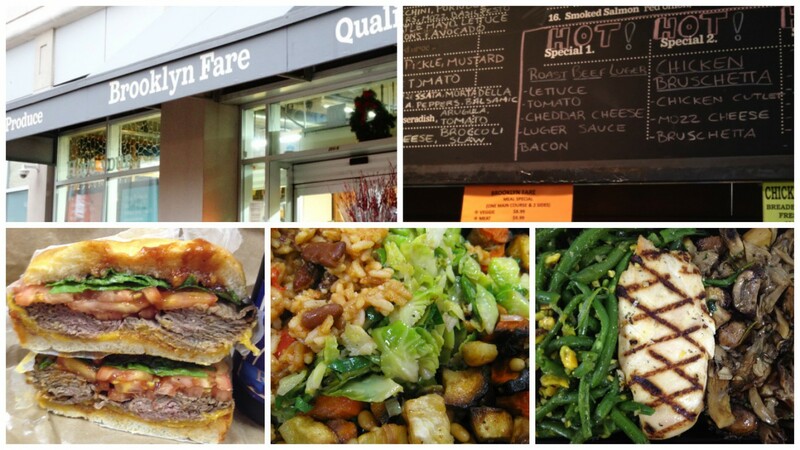 This market is known as Brooklyn Fare and it’s about a 10-12 minute walk from school. Their meat entrees are usually $9.99 and for vegetable entrees are $8.99 (prices may have changed). It’s a great place to visit and they have a lot of great products you may not find at Trader Joe’s. Cafe Metro is by far one of my favorite places to go to for lunch because it’s my to-go place for salads! Panera, Au Bon Pain, Hale & Hearty, and many other restaurants and fast food casual places have salads and provides a customer with the option to build their own salad, but I find that it’s a lot more expensive at these places. I spend just a little bit under $10 for my salad, but I can add a lot of different toppings and special toppings without an extra charge unlike other restaurants. 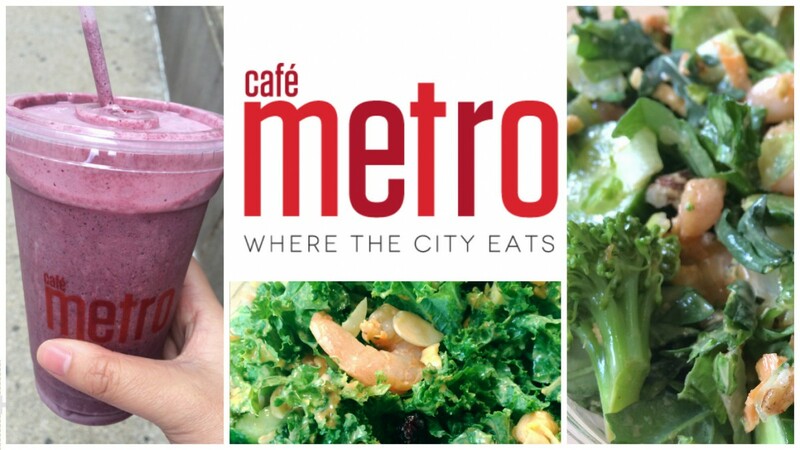 If you love salads as much as I do, than you will love Cafe Metro. Lines can get crazy between 11:30AM-1PM, so I usually pre-order my salad to avoid the crazy lines. When I first discovered there was a Vietnamese spot that opened up in Downtown Brooklyn, I was very excited about this! 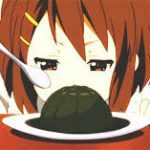 Vietnamese food is almost no where to be found in our area. 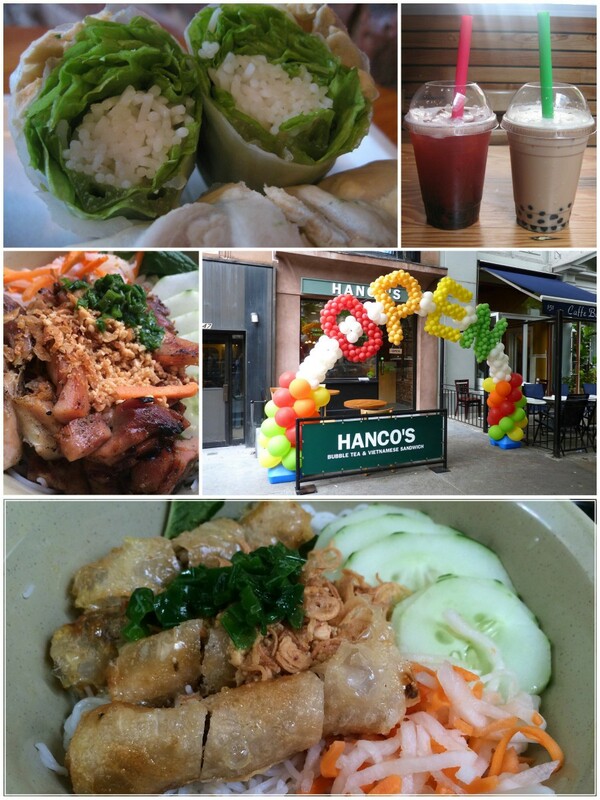 If you love Vietnamese food, check out Hanco’s as they have an array of items such as banh mi (Vietnamese sandwiches) , pho, rice vermicelli, bubble teas, coffee, rice dishes, and various appetizers. It’s a little more expensive than what you can find in South Brooklyn and Chinatown, but you won’t be spending $15+ on a sandwich or a bowl of noodles for sure. 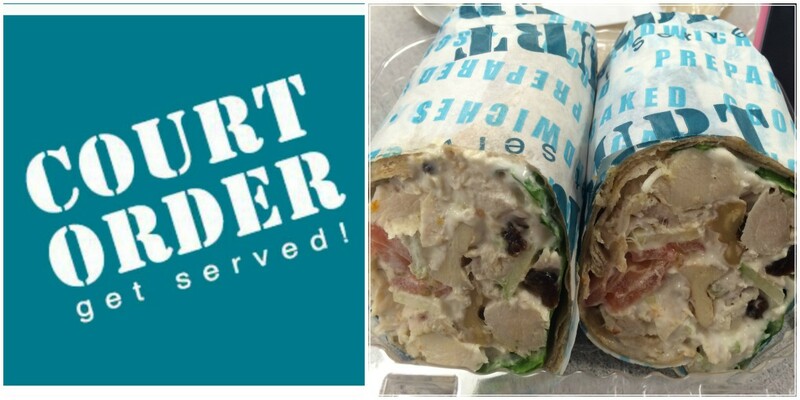 Last December, I stopped by Court Order for lunch because I remembered my boyfriend said they had pretty good wraps and soups and all made from scratch, but what he didn’t tell me was that Court Order actually gives student discount (must present school ID) which is 10% off, but you must spend $5.00 or more. I actually found out during my first visit and took advantage of that student discount. How many restaurants/food places do you know that gives you a student discount? The food is pretty good here and mostly under $10, now that’s a good deal! Golden Fried Dumpling has been in Downtown Brooklyn for 3+ years now and it still remains as the most cheapest, affordable, and tasty dumplings on this side of Brooklyn. The price range for their dumplings range from $1.00 – $5.00. Now I mean seriously, where are you going to find hand-made dumplings for that cheap in Downtown Brooklyn? Any way, besides dumplings there are other menu items that are just as inexpensive like: sesame pancake sandwiches, rice & noodle dishes, buns, soups, and etc. I wouldn’t recommend eating here as they have very limited space and seating area in this establishment, but it is worth checking out. Hopefully I have inspired you and woke you up to a few places that have cheap and affordable eats that can fit within your budget as a student. 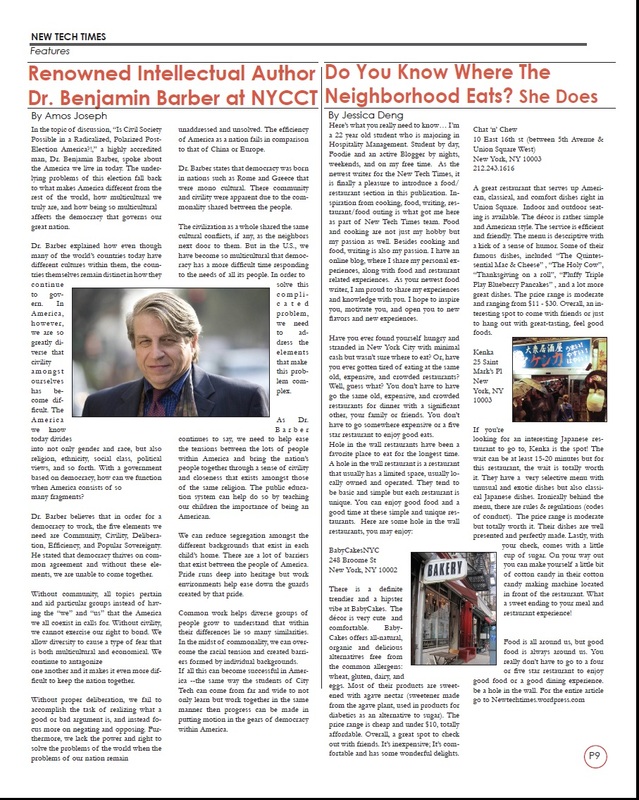 If you would like to read more about different restaurants in Downtown Brooklyn that I’ve tried you click here or if you want to hear more about affordable restaurants, click over here. 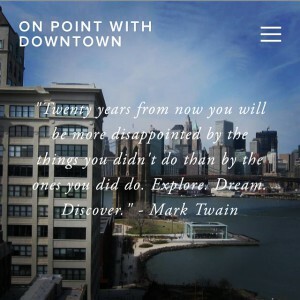 Are there any restaurants in Downtown Brooklyn you feel are affordable and has good quality?